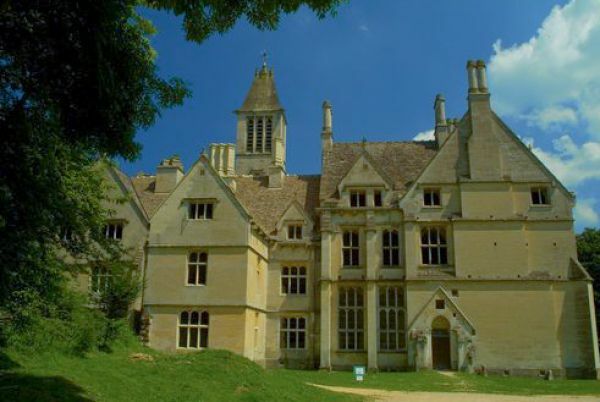 Woodchester Mansion is an unfinished Victorian mansion set in 400 acres of superb Cotswold countryside. 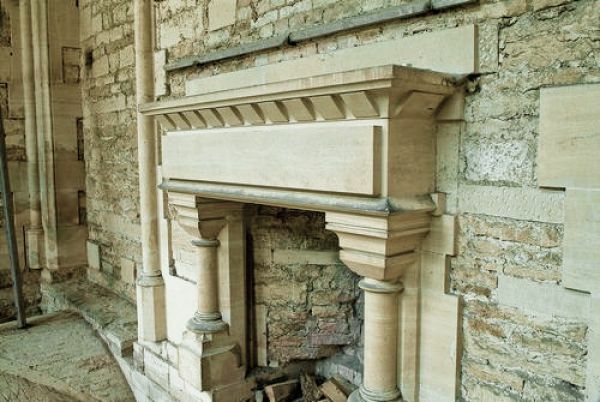 Historian David Verey called Woodchester 'one of the great achievements of 19th-century domestic architecture in England', and it is easy to see why. In the 18th century, the estate at Woodchester belonged to the Ducie family, who built the stately Georgian home of Spring Park and created a string of 5 lakes in this secluded valley setting. In 1845 Lord Ducie sold the northern section of the estate to William Leigh. A rather fanciful tale of what prompted the sale is preserved. It seems that the young Lord Ducie threw a great party at Spring Park to celebrate his succession to the title. When he came to take his seat at the dinner table he discovered his father's ghost was already seated there. He was so frightened that he left the house and never returned. 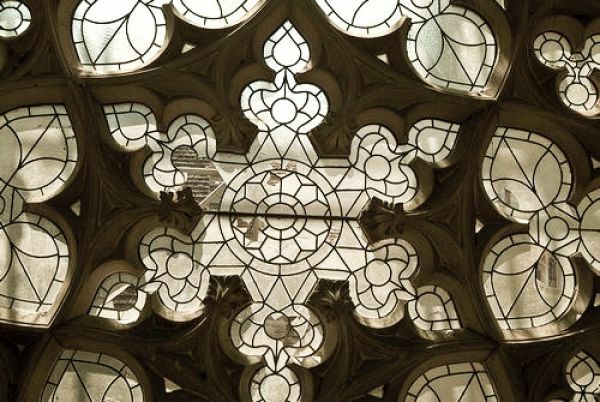 Be that as it may, shortly after William Leigh purchased the estate he engaged architect AW Pugin, responsible for much of the Houses of Parliament in London, to remodel Spring Park. Pugin recommended demolishing the Georgian house and building a new mansion in Victorian Gothic style. Pugin and Leigh then argued, and Pugin was dismissed in favour of architect Charles Hansom, brother of Joseph Hansom, the inventor of the Hansom cab. Hansom's first commission was not Woodchester Mansion, however, but a monastery that the highly devout Catholic Leigh wished to build in South Woodchester village. It was not until the mid-1850s that work began on the new mansion house, with the help of Hansom's protege Benjamin Bucknell. The mansion followed the foundation outline of the Georgian house. The relatively subdued back part of the mansion was probably the work of Hansom, and the ebullient front half, full of gargoyles, buttresses, and flamboyant Gothic detail was the work of Bucknell. 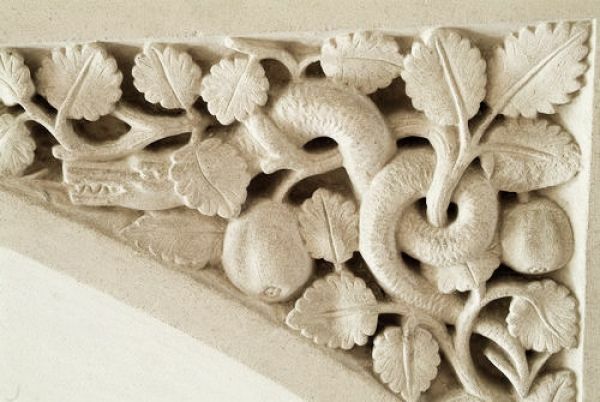 It is this architectural detail that remains the most appealing feature of Woodchester; the carving and attention to detail are utterly superb. 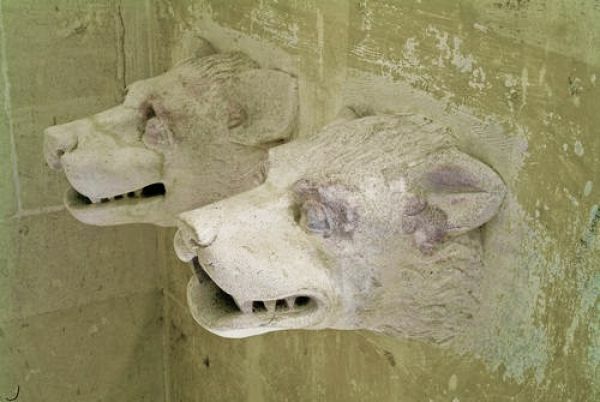 Look for the bathtub spouts in the shape of wolf's heads! There is some mystery about how Leigh intended Woodchester to be used. The house contained everything needed to function as an independent monastic settlement, with a chapel, brewery, bakery, cheese room, laundry, and servant quarters. It is entirely possible that he intended the mansion to serve as the headquarters of a monastic community. Most of the building is made from locally quarried limestone; even the ornate bathtub is crafted from a single block of Cotswold stone. By 1865 the south range was ready to be roofed, but shortly after this work on the mansion suddenly ceased. 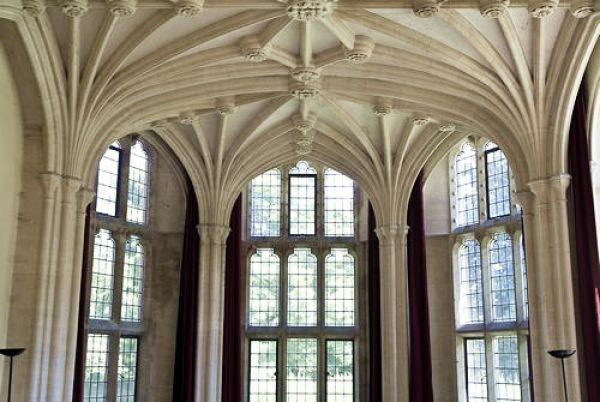 What happened to stop the work on Woodchester Mansion? That is the great unanswered mystery of the place. Much like the mysterious tale of the Mary Celeste, Woodchester was abandoned abruptly. Scaffolding was left intact, tools and equipment were left on the site as if the workmen had merely wandered off for a break, never to return. Why? One legend suggests that they left because a man was murdered on the site, but a more likely answer is a matter of simple practicality. 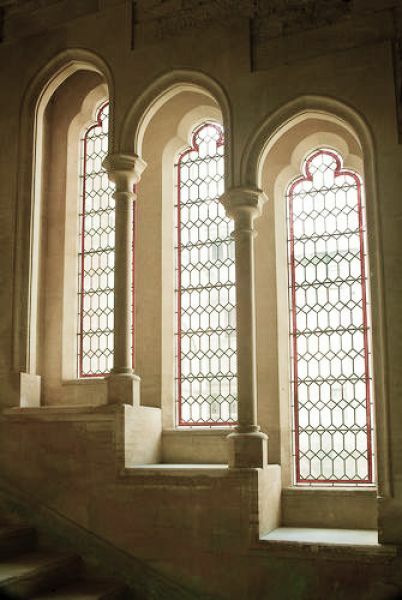 It seems that so magnificent was the work undertaken at Woodchester that Leigh was running out of money. Personal tragedy probably played a part as well; both his daughters died before marriage, his daughter-in-law died at a young age, and Leigh's health was poor. Though it seems he never gave up on his vision of completing Woodchester Mansion, it remained untouched at the time of his death in 1873. Leigh's heirs left the mansion unfinished, with a roof, but only partly glazed. The house was eventually let to a local farmer, who kept cows in the formal dining room. It was also used by Nympsfield school for lessons and school functions. 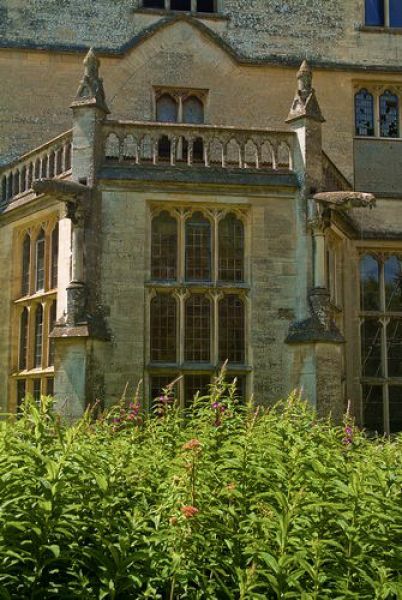 During WWII troops were stationed at Woodchester, and parts of the building were used as a storehouse. 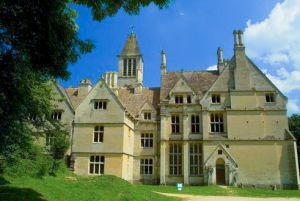 Eventually, the house was saved from ruin by the creation of a local charity, now known as the Woodchester Mansion Trust. 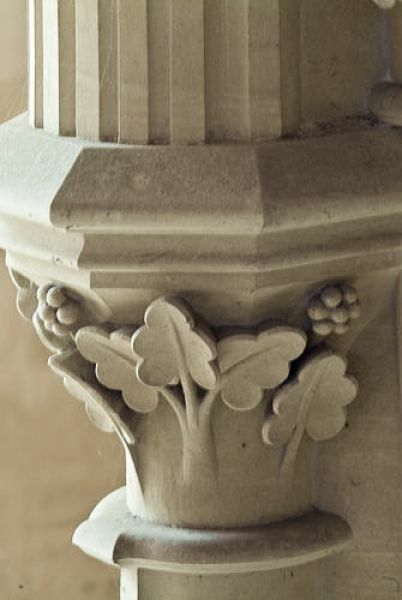 The Trust has undertaken a gradual programme of restoration over the years, and also offers a hands-on course in stone masonry, with students helping in the restoration process. A tour of the house interior takes in the Great Hall, originally intended by Bucknall as a billiards room, the Dining Room, Drawing Room, and Library. 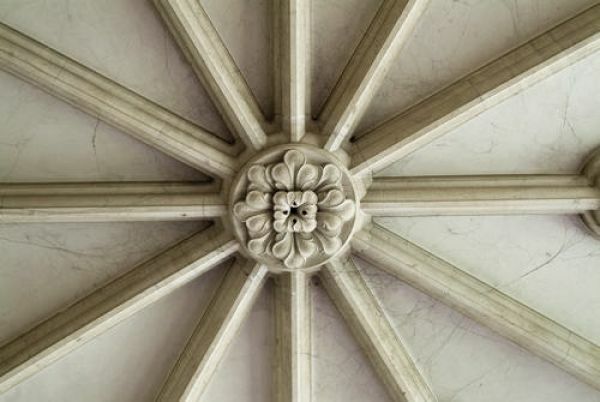 The Drawing Room is particularly notable for the superb stone vaulting. The most interesting chamber, though, is the Chapel. 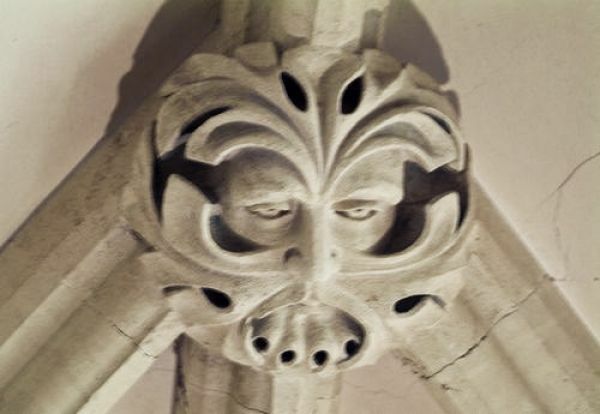 The architectural detail is simply superb, with Gothic roof bosses including two Green Men, a traditional pagan symbol of fertility. Two galleries look out over the chapel floor, one for an organ, one intended as a private observation place for the master of the house. The Grand Stair leads to the first floor rooms. This stair is truly remarkable and affords a rare example of a vaulted roof on a slope. One of the chambers on the upper floor has been set aside as a bat observatory. Here you can observe resident Horseshoe bats by means of a hidden infrared 'batcam'. Four species of bats, including Greater and Lesser Horseshoe bats, both of which have been identified as species at risk, use the mansion as a summer roosting habitat. The bat population is at its highest in July when the next generation of bats are born. 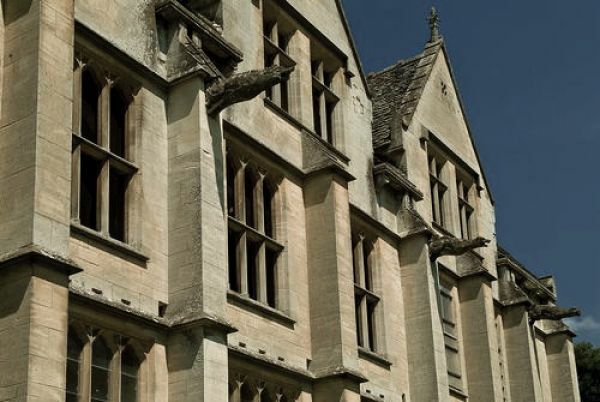 Woodchester offers a rare opportunity to view a historical time capsule; a grand Victorian Gothic house almost unaltered by time. Nympsfield Long Barrow is located almost immediately opposite the entrance drive to Woodchester Mansion.